There are smartphones out there that need no introduction. The Acer Liquid S2, however, is not one of them, and so far it appears that the Taiwanese company's premier phablet device has mostly failed to gain some serious traction. But should that dissuade you from considering the Liquid S2 when you go phablet hunting some time in the foreseeable future? 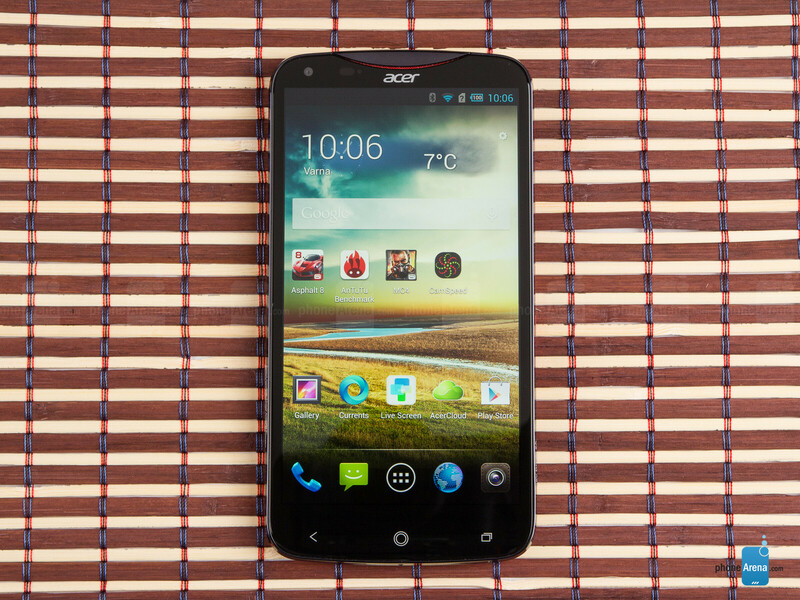 Absolutely not, for Acer's top-shelfer packs quite a punch under its massive hood. At a price. Does the Liquid S2 have what it takes to make it through the testing grounds? Let's find out. As with any self-respecting phablet out there, the first thing your attention is drawn to in terms of design is the sheer size of the device. 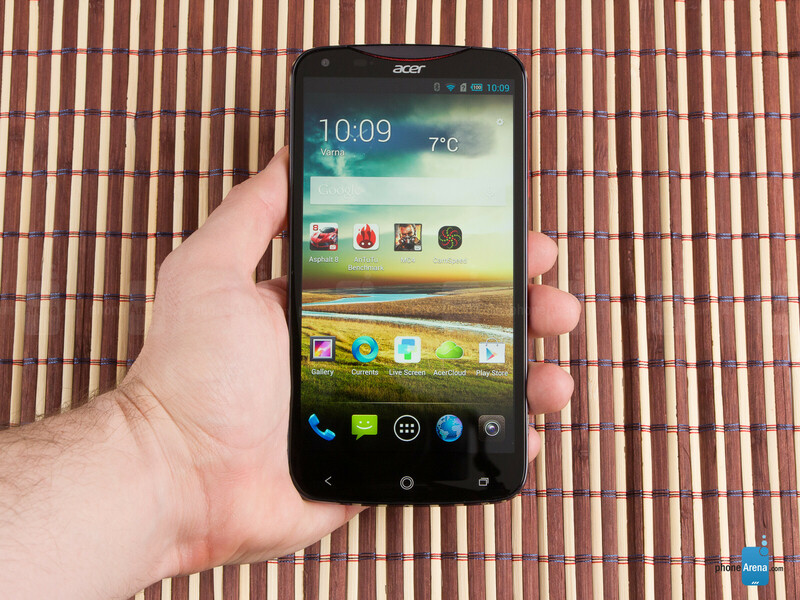 The Acer Liquid S2 is giant, even by phablet standards, and it's one of the very biggest 6-inchers out there. What's even more, at 8.15 oz. (231 g), we failed to find a heavier smartphone in this class. The volume rocker (right side) and power button (top left) are both kind of conservative with the amount of feedback they provide. Perhaps more importantly, we're seriously dumbfound at the placement of the rather essential power button, and the capacitive navigation keys don't help matters either – they're pushed at the very bottom of the device. All of this translates into poor ergonomics. Size and comfort aside, the Liquid S2 is actually an attractive device, especially the red variant that we have at hand. The fashionable design, however, is slightly diminished by the numerous flaps, ports and styling ornaments. 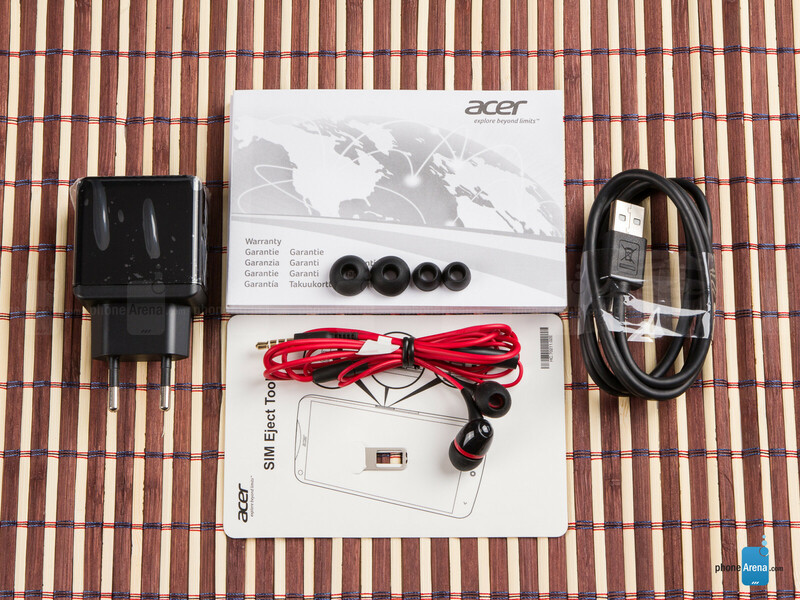 The front – your typical Android look – is set apart by the signature, concave Acer earpiece with a matching, red-colored grill. 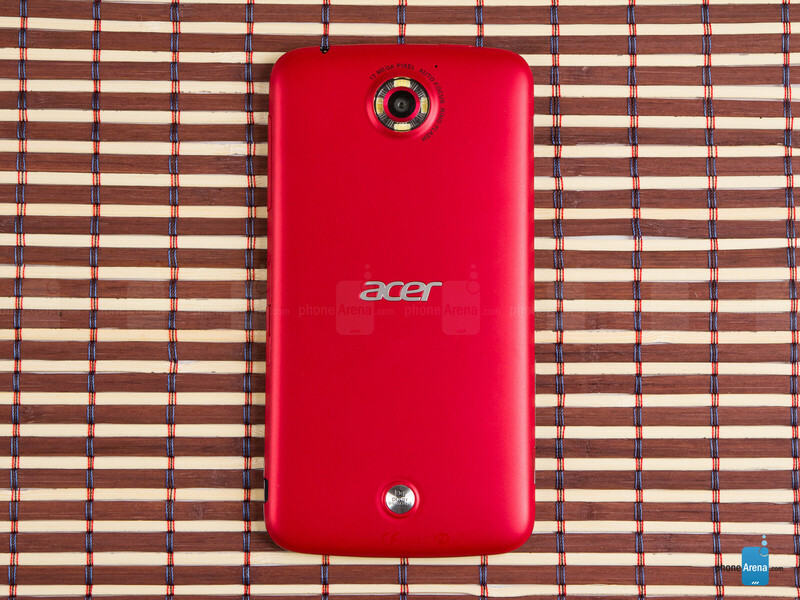 At the back, we instinctively focus on the rather unique camera module with quad flash – a distinctive feature of the S2. Below sits the Acer logo, masterfully etched into the plastic shell itself, followed by a pronounced Dolby Digital Plus badge. Acer has also placed a duo of speakers on the left side of the device, which should hopefully provide an adequate stereo audio experience, but more on that later. We needed just one look at the 6-inch display on the Liquid S2 for our exasperation with its size to fade into nothingness. This crisp, 1920x1080 pixel resolution IPS panel leaves little to desire, as colors are faithfully rendered, and there's certainly no lack of detail at 368 pixels per inch. The display is not the brightest at 394 nits, however, so it's very well-suited for use in direct sunlight. Lastly, there are no pesky software keys to be found on the S2, so you're getting the full six inches of viewing goodness. Safety appears to have also been on Acer's agenda for the screen, as we're treated to the third and latest iteration of Corning's Gorilla Glass. It'll be of little use if you drop this heavy phablet face-on, but it should provide protection against superficial scratches. I know Acer phone's aren't really that popular, but I think Acer has really hit the sweet spot between vanilla Android and custom UI's. It looks and feels like vanilla Android, but with some nice, added features. If this phone came with a 5" display, I think it would be pretty damn awesome. i have a problem with your excuse...if you knew that the phone had a defect, then why initially give it a 5? That was a clarification, not an excuse. Sort of looks like the G2 a little.